Founded by two Cambridge developers, indie studio Inkle is best known for for their 2014 narrative hit, 80 Days. A reimagining of Jules Verne’s classic novel, the text-based adventure won widespread critical acclaim, evening scoring a spot on Time magazine’s 10 best games of 2014. 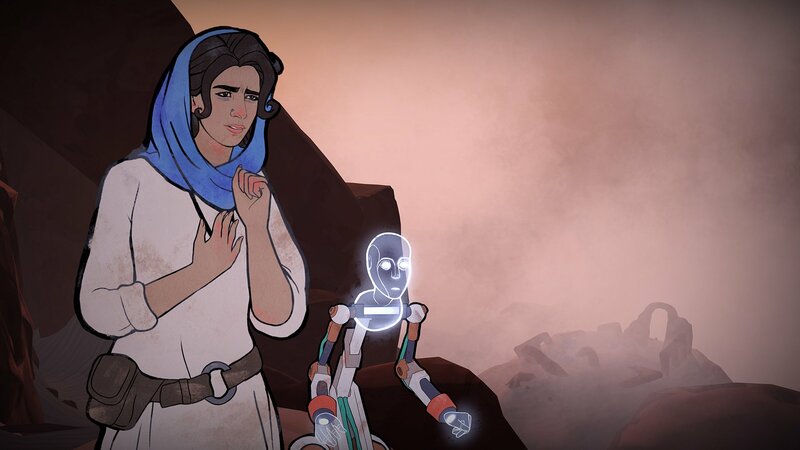 Next year will see Inkle return to the indie market with Heaven’s Vault, and it’s by far their most ambitious title to date. Realized in fully 3D environments, the story follows planet-hopping archaeologist Aliya and her robot assistant Six as they explore dig sites from a bygone era. Uncovering their history requires piecing together and translating fragments of the ancient language found scattered across them. It's a gorgeous, intriguing prospect, and an impressive advance on the studio's previous titles. We recently had the chance to get our hands on a short demo of Heaven’s Vault, and got our first taste of its unique translation mechanic while exploring an overgrown, palace-like structure. Following our session we sat down with Inkle’s co-founder Joseph Humfrey to discuss what it took for the small studio to bring the game’s rich world and characters to life. 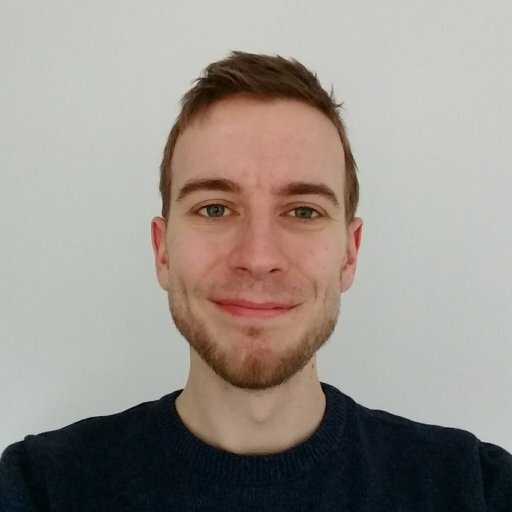 Inkle's previous work has largely consisted of text-based games like 80 Days and the Sorcery series. Was the step up to the 3D world a challenge for the studio? JH: To put it mildly, yes. I think 80 days took around a year to build and we’re currently on about three years and counting with Heaven’s Vault. 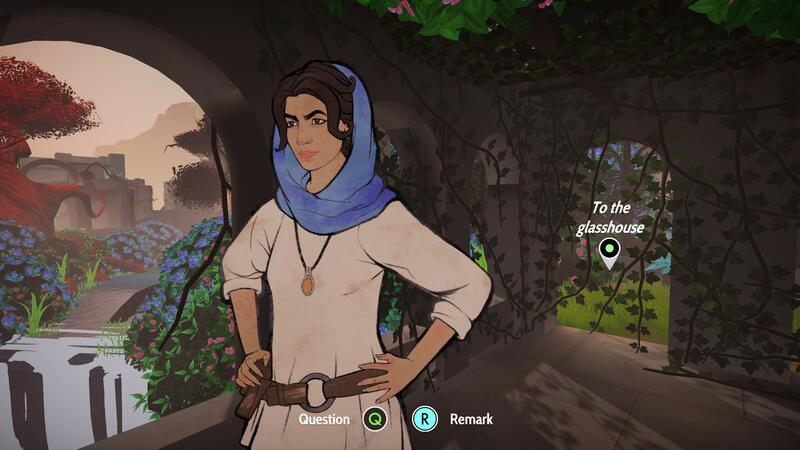 John (Inkle’s other cofounder) and I came from a console development background so we’re no strangers to big games but even so, it’s definitely a big leap up for an indie studio to go full 3D on a game like Heaven’s Vault. Heaven’s Vault finds an interesting balance in its art, rendering the world in 3D but shifting characters between 2D stills as you move or rotate the camera, almost as if you’re flipping between pages of a comic. How did this unique style arise? JH: It’s interesting that you saw that because that’s actually where we started from. Off the back of 80 Days we were still very much in the 2D mindset, so what we thought we were going to do was make an interactive comic with 2D characters, and we’d just make use of 3D backgrounds to have dynamic compositions. There would be lots of static, hand-illustrated characters frames so that we could make the comic extremely branching and interactive. But as we had our artist draw these frames and we were building all these 3d environments, we had an editor in the game that would allow us to rotate the characters around and view them from other angles. We suddenly realized, well we’ve got 3D environments and characters that can be viewed from any angle, and so this unique art style emerged out of those experiments. We’re quite excited by what we’ve found. Aliya, the lead character in Heaven’s Vault, is fairly atypical as video game characters go. Compared to most action heroes, Aliya looks older and more tired, with clear lines under her eyes. What inspired her design? JH: We wanted to create a character who felt lot more real and contradictory to the sort who appear in most games. Especially in archaeology games, when you think of Uncharted and Tomb Raider, that’s not really what archaeology is about, is it? John and I both have academic parents so we wanted to get a little bit of that geekiness into the game. Aliya is someone who genuinely believes that artifacts belong in a museum [Joseph chuckles]. But she does also take her job seriously, and isn’t running about destroying tombs as a day to day activity for her job. As you’re exploring, Aliya often talks to herself or throws out ideas to her robot companion, Six. It feels like you didn’t want the game to feel lonely in that regard. Why did you choose to give her a partner? JH: It’s actually quite unusual that you get split up from Six. That can happen and clearly it happened to you, but it’s quite unusual. We always liked the idea of having a sidekick. We did it in 80 Days with Fogg and Passepartout, and although that was based on the original novel, it’s a really good narrative device. You can do introspection about your thoughts quite easily and naturally, and when you have two personalities that contradict each other a bit but work well in tandem, that’s good to create a bit of back and forth between them. So why a robot companion? JH: We wanted to make a science fiction archaeology game, and Six is designed to be a robot who’s really a utilitarian droid that’s just there to fulfill a purpose. There’ll be more in the backstory as to why he’s partnered with Aliya. It turns out she’s been forced to have him and would quite honestly prefer that he wasn’t there. There’s a bit of an in-joke throughout the game that she might try to sabotage him. We’re really big fans of - even in relatively serious games - having a little injection of humor because it’s so important to the narrative. That’s another good reason to have the robot as it gives the chance for Aliya to mess with him a bit. In our demo there was a great deal of back and forth between the two characters, but a notable level of tension too [Six will disagree with some of Aliya’s choices and display his disapproval at times through holographic facial expressions]. Just how much independence can we expect Six to have? JH: The truth is he’s one of the most important characters in the game, but I’d better not go into that. All I can say is that he isn’t just a sidekick! Heaven’s Vault is due to release in early 2019 on PlayStation 4 and Steam, with a mobile release arriving later in the year. Part two of our interview with Joseph Humfrey now live. 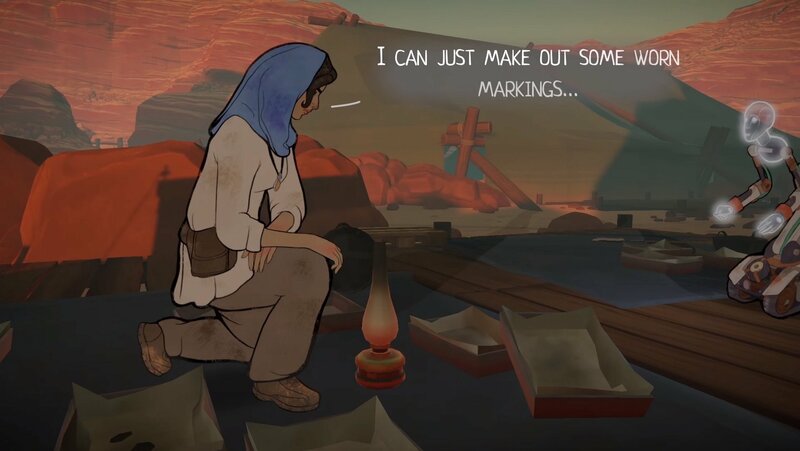 In it we discuss how Inkle created Heaven's Vault's believable ancient language for players to uncover.